LCD Soundsystem are back in a big way, and just on the verge of releasing their first new album in seven years and returning to the road. Frontman James Murphy has been pretty vocal about what the band have been up to musically over the last couple years, but now synth player Gavin Russom is speaking out about personal transformation. In a new interview with Grindr, Russom has come out as transgender. "This is my fifth decade being alive, and in each of those decades, there's been a time where I've tried to say, 'Hey, I think I'm transgender!'" Russom said. "This was even before that word existed." Russom goes on to explain the struggle grappling with binary boundaries throughout her entire life and career, citing examples like "you have to be a classical musician or play in punk bands" and "you have to be a boy or a girl." Russom says that music, however, helped open her eyes to the freedom of gender expression. She explains that DJing gave her opportunity to "observe people on a really detailed level" despite the fact that you "don't end up interacting with them." That said, Russom thinks that exposure to that kind of freedom of expression is important for young trans people. "It gives me hope for the future to see the courage and creativity of a much younger generation of trans women," she said. "Clubs are where I've encountered a lot of that." Speaking about the decision to come out publicly before LCD Soundsystem are once again thrust into the spotlight, Russom explained that she "could not imagine" spending the upcoming album cycle pretending to be anyone other than herself. She also hopes that her visibility will give other trans people the encouragement to come out. 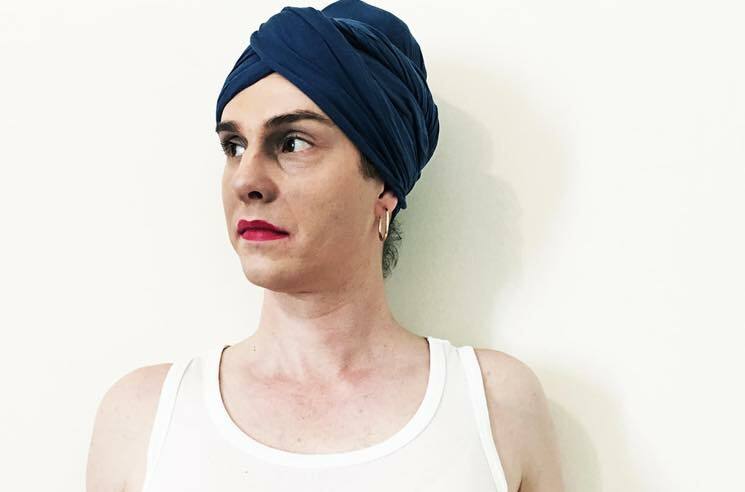 "For anybody who is struggling with their gender identity or who wants to come out and is afraid to, what would be better than giving someone permission to do that through my performance?" she said. "That's the ultimate. It's what other people gave to me, so I'd love to pass that along to other people, too." She admits that the decision to tour through states with discriminatory laws regarding public restrooms was a "tough question," but ultimately claims that "I'm the happiest I've ever been." LCD Soundsystem's American Dream is due out September 1. See the band's upcoming tour dates here.